Inspiration, I've lost it lately. I honestly feel as though I've been so caught up in the "Instagramability" of the moment. Every time I go out to a restaurant I have my iPhone sitting next to my plate of food. I inspect the lighting before the meal comes to the table, prepping to capture the perfect photograph to share on Instagram or Twitter. While I cook at home I pull out all of my photography equipment - tripod, remote, lighting, reflectors. In my mind I have to photograph every minute detail of the cooking process to make sure that I have the correct number of pictures to accompany any post that I may publish. The question I have recently been asking myself...who cares about the picture? Didn't I start Smak because I loved food? Because I wanted to share my passion with friends and family, heck, let's go bigger - didn't I want to share my passion with people across the world? I started Smak at a time when I felt lost and defeated. I had moved back to Chicago from New York City with the feeling that I had control over nothing in my life. This past weekend I went out to brunch with a friend who was able to help me find my way back. Yes, I love taking pictures. It is a passion of mine. But being told about a celery tonic while conversing over Smoked Salmon Benedict and a Bloody Mary, and then running home to try making it? That is what I am talking about. Smak is a source to tell you about the best gins (my favorite is Hendrick's right now), strange combinations (celery and gin...really? ), and then ultimately act as a forum for other people to talk and share ideas. That is what I want. That is what I hope you as my readers get out of this website. 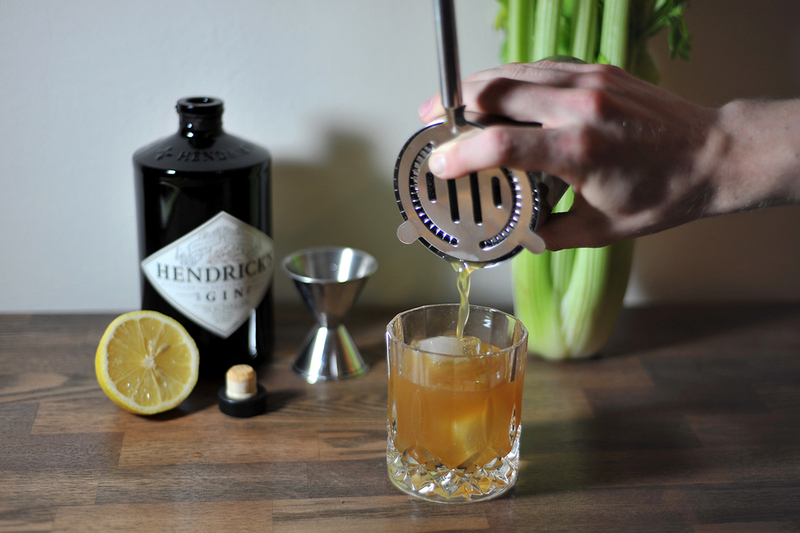 And if you find that you like this celery tonic as much as I do, well, then I think I've done my job. Cheers! 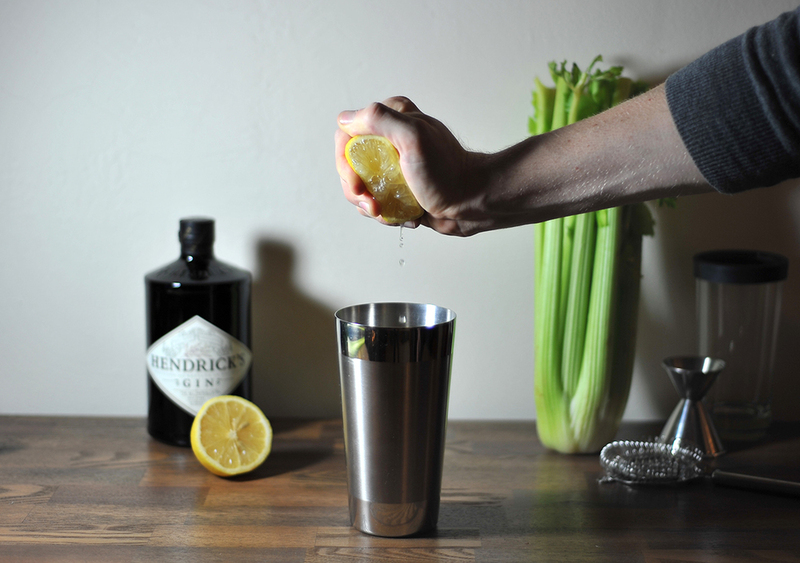 Muddle celery with sugar and lemon juice in a cocktail shaker, 1 minute. Add gin, fill shaker with ice, and shake until outside of shaker is frosty, about 30 seconds. Strain into a rocks glass filled with ice and garnish with a lemon twist.